eXpd8 offers a range of dictation solutions in collaboration with our carefully chosen partners. Whether you are looking to upgrade from traditional methods of dictating or are in search of a solution to help you save time and money on your transcriptions, we have a solution for you. If you use our eXpd8 Property Management software, you can save dictations on a file, ensuring it is kept safe and secure. No more dependency on analogue tapes. Designed for professionals who rely on secure, flexible, reliable recording solutions, the DS-7000 from Olympus sets new standards in efficiency and integration. Handle each dictation as a separate file, share between different typists, email recordings securely and link dictation to the eXpd8 file. 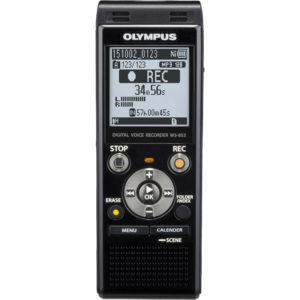 Olympus Dictation Management Systems Software. Turn talking into text 3 times faster than typing! Dragon Naturally Speaking is a simple, effective solution using speech instead of a keyboard or mouse. Just say the words and watch them appear on the computer screen. 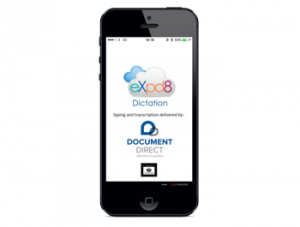 In partnership with Document Direct, eXpd8 have developed a new dictation app. This app will provide you with the ability to dictate wherever you are without the need for any other dictation hardware or software. It will also allow you to send the dictation securely to Document Direct’s protected UK based servers where you can avail of fast and accurate typing services and have transcripted documents returned to you quickly. Document Direct is the only typing provider endorsed by the Law Society of England & Wales. Over 100 Irish law firms are currently using their transcription services.